•Wireless Audio: The Sonos ZonePlayer ZP80 and the Olive Opus. 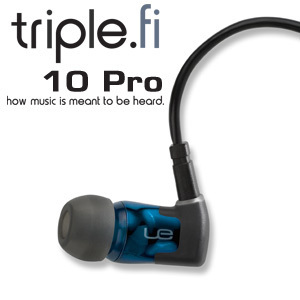 •Headphones: The Shure E500PTH and the UltimeEars triple.fi 10 Pro. Some of the other winners... meh, a little impractical, methinks. •Too Big For Its Own Good: Open Labs MiKo Portable Media Workcenter. Now, I saw one of these during the summer, and while it's definitely got a "Wow!" factor going for it, it's entirely too large to be even mentioned in the same sentence with the word "portable." Better have a giant desk with plenty of room on it for this guy. The rest of the round-up is fairly spot-on, so if you're itching for some audiophile info, it could be worth a few seconds of your time. After you're done with our own efforts, of course.